Tow Rope: Applies to two tons of car. Lccal pick up is available. With the sleek slim design of your flat-screen TV, there's little room left for speakers. That's why dialogue can be hard to hear clearly from one scene to the next. The Bose Solo 5 TV Soundbar is an easy solution to the problem. High quality LED flashing warning light. It can provide 6 warning light with SOS rescue and 3LED flashlight. Due to light and screen difference, the item's color may be slightly different from the pictures. Mini tyre gauge which is convenient to bring and operate. 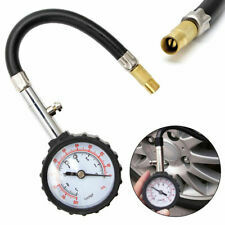 1 Tire Pressure Gauge. The push button valve bleeds air to desired tire pressure. 1kgf/cm2=98kpa. Size: approx. 5.5 x 25.5cm/ 2.20" x 10.03" (Dia L). Tow Rope: Applies to two tons of car. (E.g. you bought wrong model or wrong color). Lccal pick up is available. ULTRA BRIGHT FLASHING L.E.D. SAFETY FLARE. Use The Flashing L.E.D. Safety Flare To Get Speeding and Distracted Drivers To Slow Down. Then just place a few in a row and passing drivers willknow that they need to slow down and be cautious. We really appreciate your support! You may also like. INCLUDES 3 Premium Duracell Batteries, Emergency Ready! Bag was only opened to help display the contents. Feature: This is a necessary light in your car or bicycle. Magnetic base , can stick it to the metallic surface. Designed in a compact size, easy to carry around even in a pocket. Powerful 8 LED illuminant, provide ultra-bright light for use 3-Model light:3 different flash red light. SAFETY KIT TOOL Flat tire. Overheating engine. Dead battery. An accident. These are the types of issues motorists hope are few and far between, but they happen to everyone. These bright LED discs boast hours of light and require only 3 AAA batteries. • Optional auto darkening lens included. 4PCS Car panel removal tool. Smooth and there is a certain flexibility, protect the car parts complete when removing and installing. Do not let your children play with the tool. Length:14cm,19cm,22cm,20cm. It can provide 6 warning light with SOS rescue and 3LED flashlight. The LED flashing warning light is shatterproof,crushproof and rainproof, it has a high quality. 3x Flashing Warning Light. We will give priority to solve your problem with the best solution. It can provide 6 warning light with SOS rescue and 3LED flashlight. High quality LED flashing warning light. Due to light and screen difference, the item's color may be slightly different from the pictures. This kit includes tools, jumper cables, tire inflator/air compressor, lighting, signaling, first aid kit and much more. The entire kit fits in a heavy duty carrying case which has been designed for easy access and durability. Item Type: Car Seat Belt Extender. 2 x Seat Belt Extender. Used to extend the car seat belt or car children safety seat belt, solve the safe belt too short problem, more comfortable and safe. Function: Seat Belt Extension. BE PREPARED FOR AUTO EMERGENCIES - This compact 34 piece roadside kit has all the basic tools for roadside maintenance and general car care. Great for small Emergency repair. Change fuses, check tire pressure, charge batteries and more with this set that fits into the corner of a trunk or under your car seat. Includes: 8pc LED Flare & 24pc AAA Batteries. The hook can be hanged on warning sign, guide board etc. 12 3 PCS super bright LED bulbs, working life is more than 100,000 hours. WARNING: Consuming foods or beverages that have been kept or served in leaded crystal products will expose you to lead, a chemical known to the State of California to cause birth defects or other reproductive harm. It can provide 6 warning light with SOS rescue and 3LED flashlight. - The LED flashing warning light is shatterproof,crushproof and rainproof, it has a high quality. 1x Flashing Warning Light. 20x 30cm 12V 3528 15SMD LED Flexible Strip Light Waterproof Lamp For Car Motor. Great small tool kit ideal to keep in vehicle. The LED flashing warning light is shatterproof,crushproof and rainproof, it has a high quality. - It can provide 6 warning light with SOS rescue and 3LED flashlight. 1 X Warning Light (batteries included). REMARKABLE VISIBILITY- With a superior super bright LED, the array can be seen from long distances away at night. Lasts up to 50 hours depending on the light mode. Thick plastic casing wrapped in durable rubber is shatter resistant and weather proof (IPX-6 rated). Features: Brand: For Ford Lincoln Mercury Condition: 100% Brand New Manufaturer Part Number: 6113 Other Part Number: 4F23-15K859-AA, 4F2315K859AA,3F2Z-15K859-BA Package Includes: 1 Pcs of PDC Parking Sensor High quality and durable Direct fit. 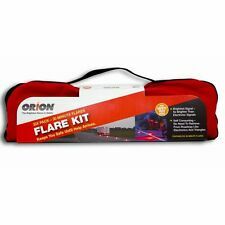 Automotive safety kits and supplies are products designed to keep you safe while on the open road. These products work well when you take road trips with friends or family. The right products can keep you safe when driving to work or running errands too. What common emergency and rescue tools exist? Car window hammer: This small tool has a sharp point on one end. If your car goes underwater, you can use the sharp point to break the window glass and get out. It may have a sharp edge or area on the handle that you can use for cutting through a seat belt also. Roadside lights: These lights are often one-time use lights. Others come with batteries that you can replace or recharge for future use. You'll find small sets that come with three to five lights or more. Not only will these lights help you see in the dark, but they will also increase your visibility to others. What types of supply kits are there? When looking at safety supply products, you'll find that different kits are available. These automotive safety kits are suitable for different situations and for both work and personal vehicles. Each set comes with needed safety equipment. First aid: One set that you can buy is one that comes with first aid equipment. Some of these sets come with 200 pieces or more. You'll have adhesive bandages that you can use to treat injuries in the field. These kits often come with some over-the-counter painkillers and other products too. You can treat drivers and passengers injured in auto accidents until help arrives. Emergency roadside: An emergency roadside set is another option suitable for most drivers. These kits come with supplies that you can safely store in your backseat or trunk. Many have hard sides that protect the contents too. Safety equipment like flares, jumper cables, and tie-down straps come included inside. Snow and winter: If you live in a cooler climate, you might prefer a set designed for use in the winter. These safety supply sets feature supplies that help you stay safe after an accident and before you get in your car. In addition to emergency blankets, you'll get a can of deicer. This removes ice from your locks to help you get inside your vehicle. What are the benefits of using cleaning supplies? Consider investing in some cleaning products to go along with your other supplies. Automotive companies make brushes with long handles and soft bristles for cleaning. These tools help you clean your entire windshield and reach other out-of-the-way spots. This enhances your field or vision and helps you see safety hazards on the road.